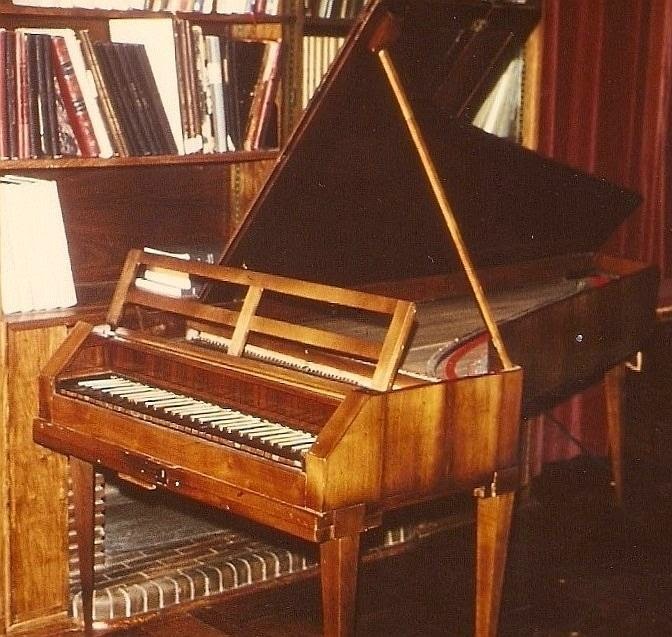 Hans Adler always had a particular passion for chamber music, especially keyboard work, and assembled the finest collection of this type in the Republic of South Africa, and one of the most noted in the World. 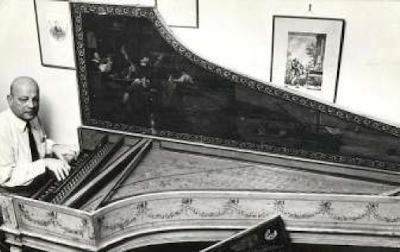 (He was also an accomplished pianist, and frequently performed with visiting musicians and the SABC. 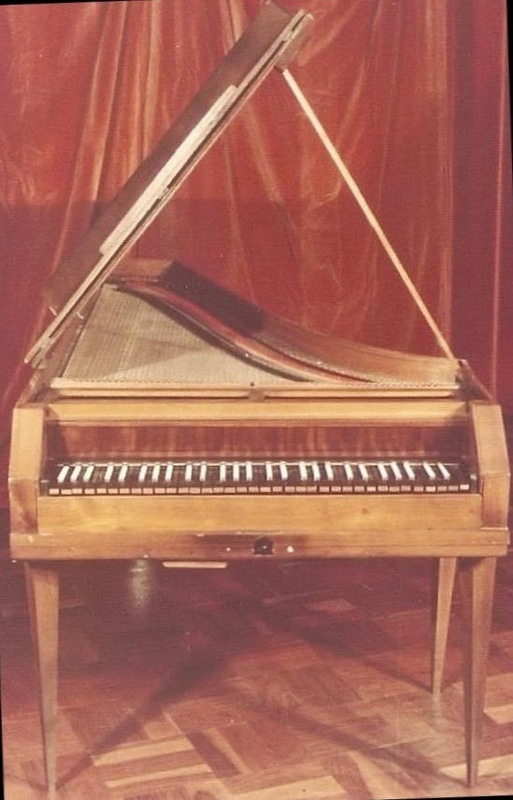 (South African Broadcasting Corporation) - often on early instruments. 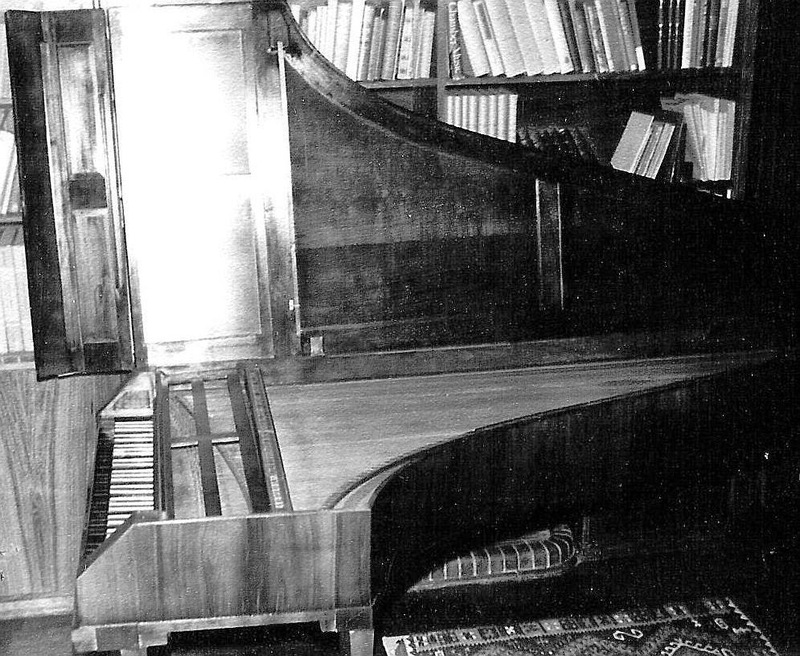 An enormous library of books, manuscripts, sheet music and periodicals, mainly focused on his chamber music and multi-hand keyboard passion. 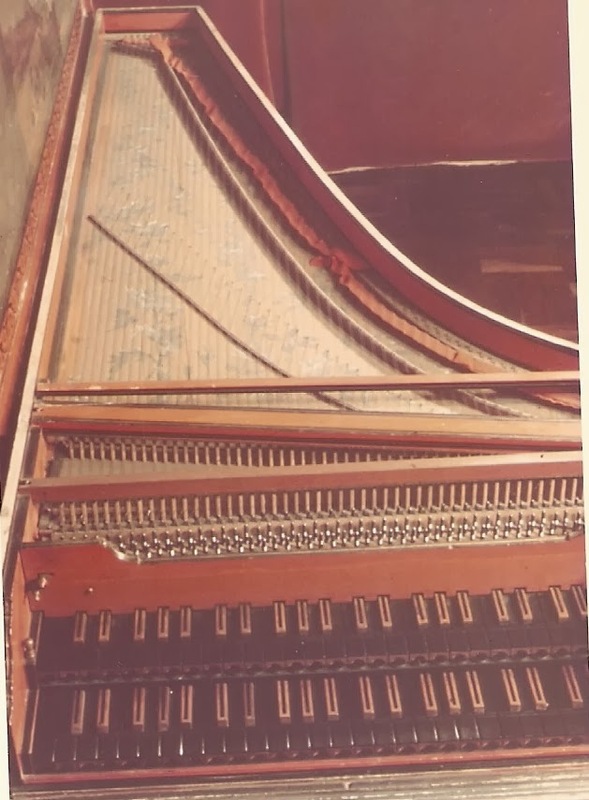 Personally dedicated photos from nearly 200 renowned classical artists and groups that performed through him in Southern Africa between 1950 and 1978. 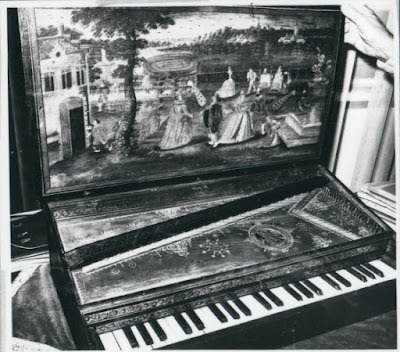 (http://classicalmusicianstoza.blogspot.ca/) Also 3 personal autograph books with 200 odd dedications, comments and memories from the performers, most of whom became or still are renowned and highly- respected performers throughout Europe and America. 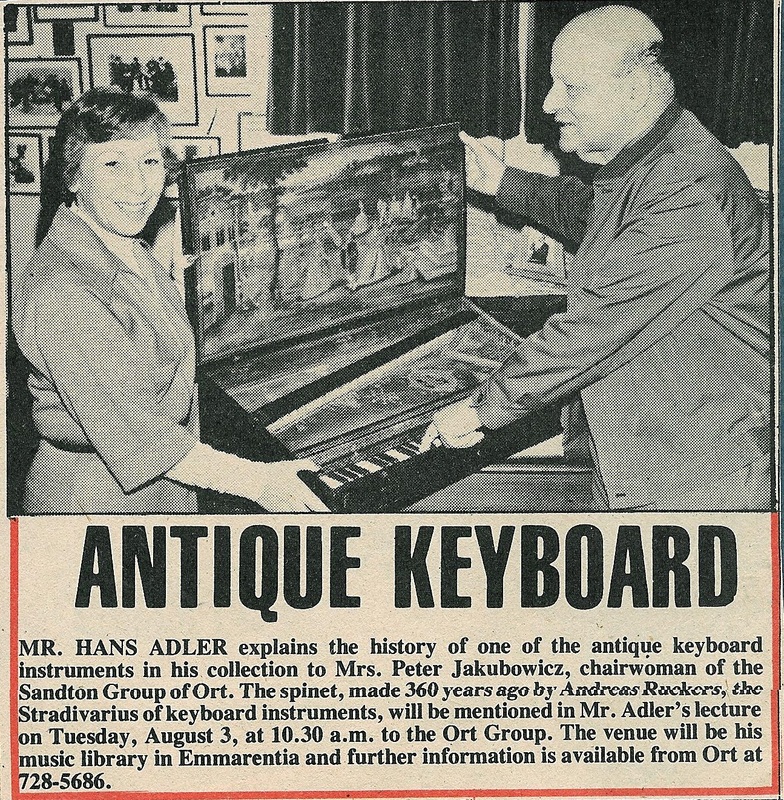 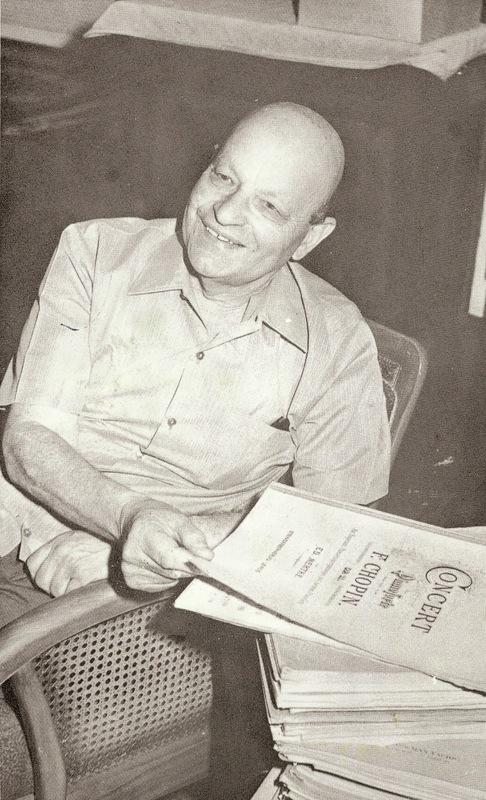 Most of the Collection was willed to the Wits University of Johannesburg on his death in 1979, where a Hans Adler Memorial Music Museum was established, displaying many of his keyboard instruments, dictionaries and encyclopedias, and a glass case containing a few rare manuscripts and letters. (http://rareclassicalmusicexhibits.blogspot.ca/) The music scores and periodicals (with just a dedication decal) were absorbed by/incorporated into their main university library. 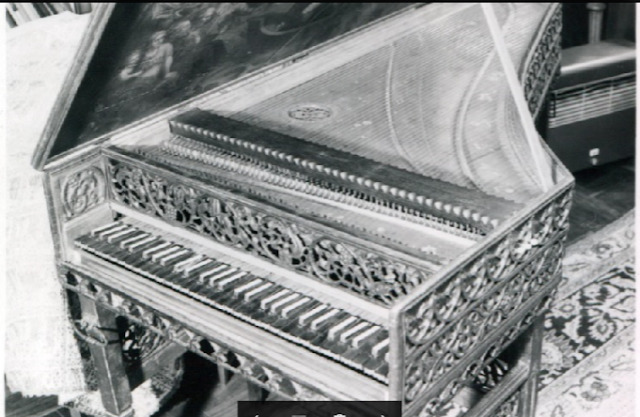 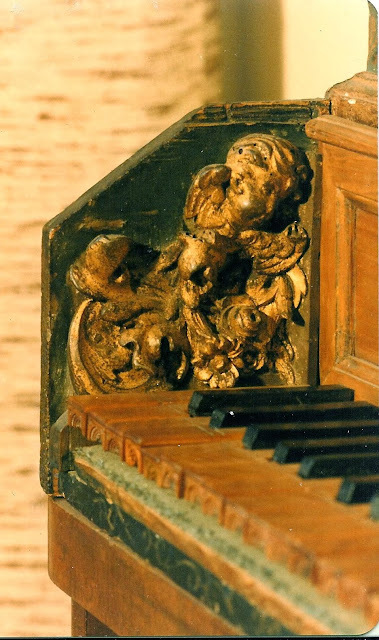 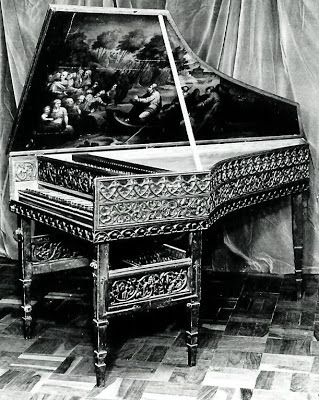 Landowska Harpsichord sculptured gothic harpsichord. Featured in Musical America 15.2.55 edition. 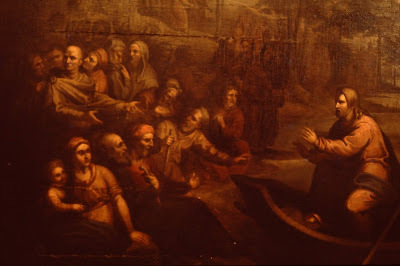 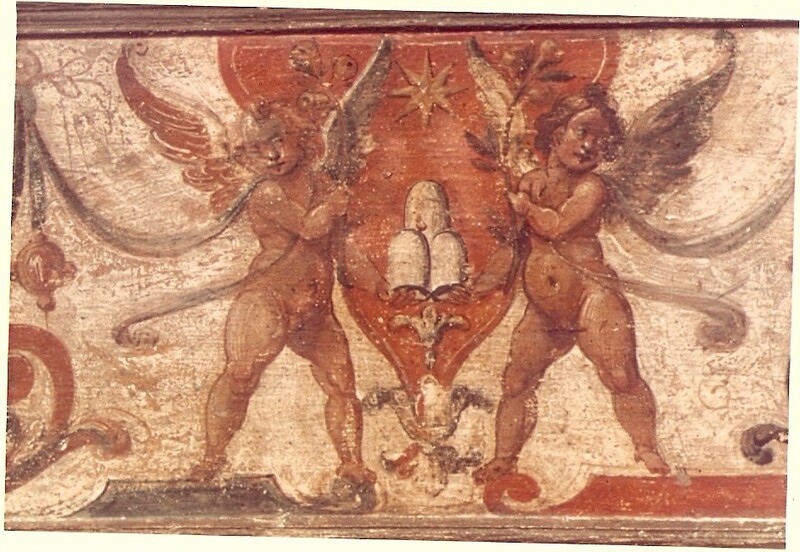 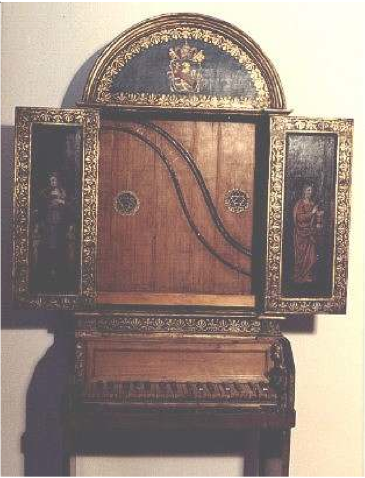 Bought at auction, 16th century Italian. 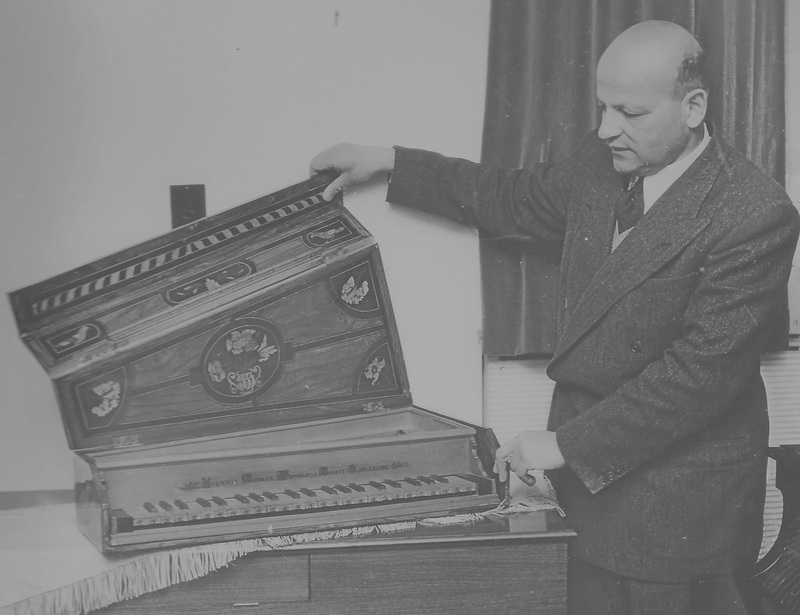 According to the donor who purchased this valuable instrument in 1971, it belonged to the Wanda Landowska collection. 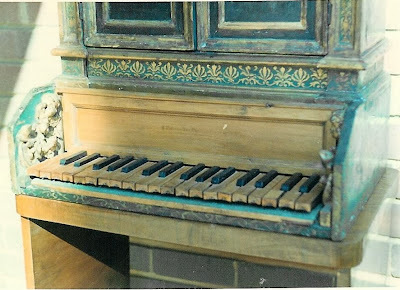 Its history is otherwise unknown, but sources say she performed her first recital on this instrument (RDM 4.11.71) in 1912. 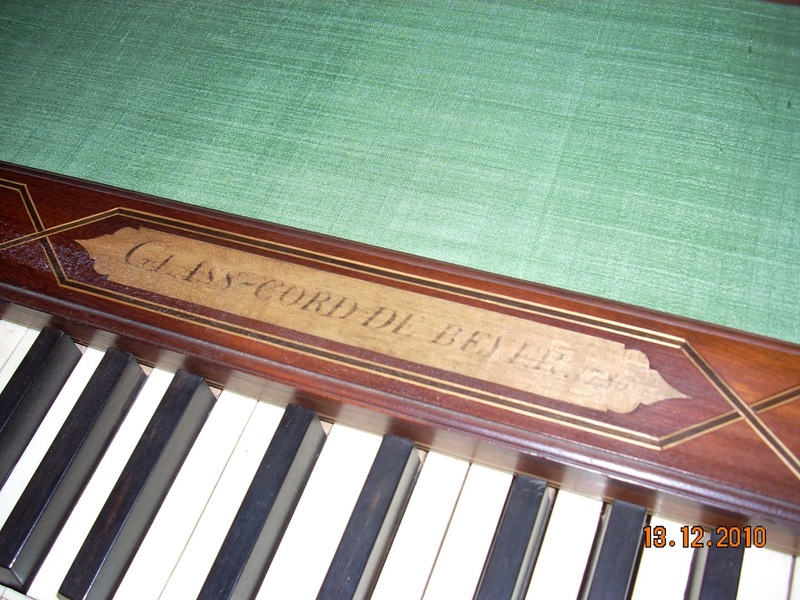 Mainly because the owner wanted to see the instrument played on instead of remaining silent in the glass case of a museum, sold through Alain Vian (Paris antique instrument dealer) to Mr Adler. 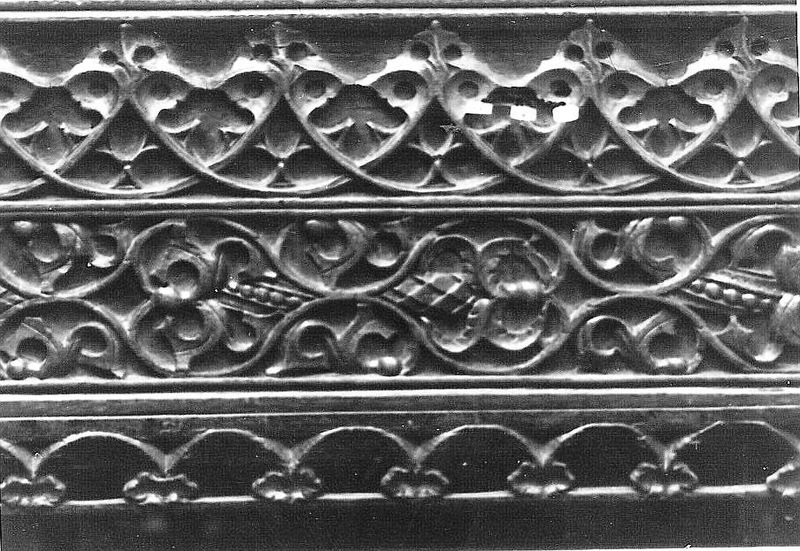 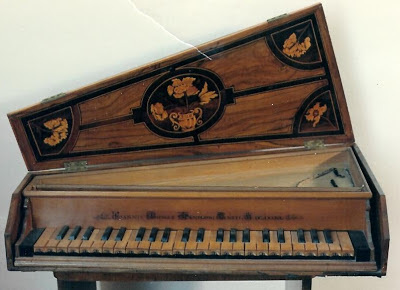 Three special ivory buttons at the side of the keyboard enables the registration and tone colour of the harpsichord to be changed. Das Instrument hat unregelmässig viereckige Form und steht in einem braun eingelegten Kasten neueren Datums. 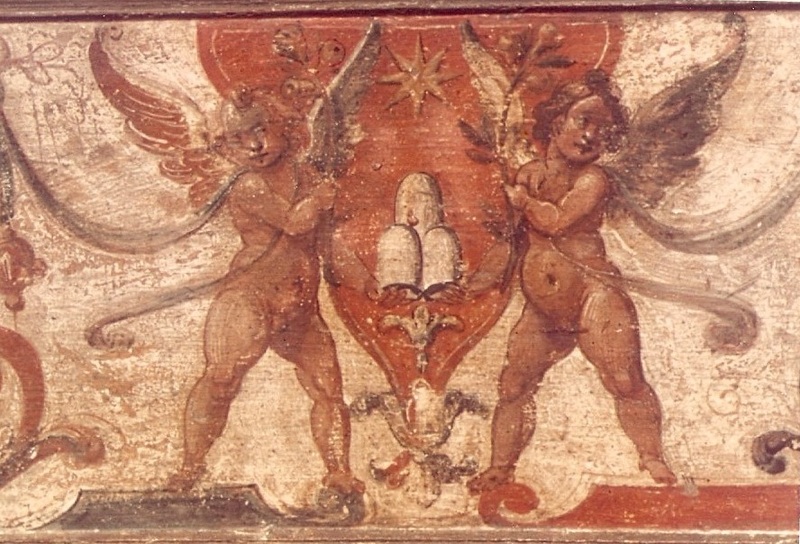 Die Saiten werden von Federkielen (einem Plektrum aus Leder- oder Rabenfederkiel) angerissen. 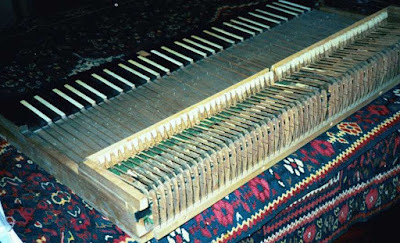 Dieses Plektrum ist an einer beweglichen Zunge im Oberteil eines Holzstäbchens des sogen. 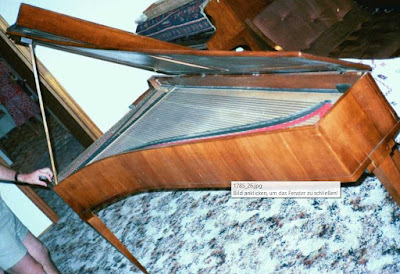 "Springers" derart gesetzt, dass es beim Anschlagen der Taste die Saite von unten her anzupft; beim Zurückfallen dagegen, dank der beweglichen Zunge, seitlich an der Saite vorbeistreicht. 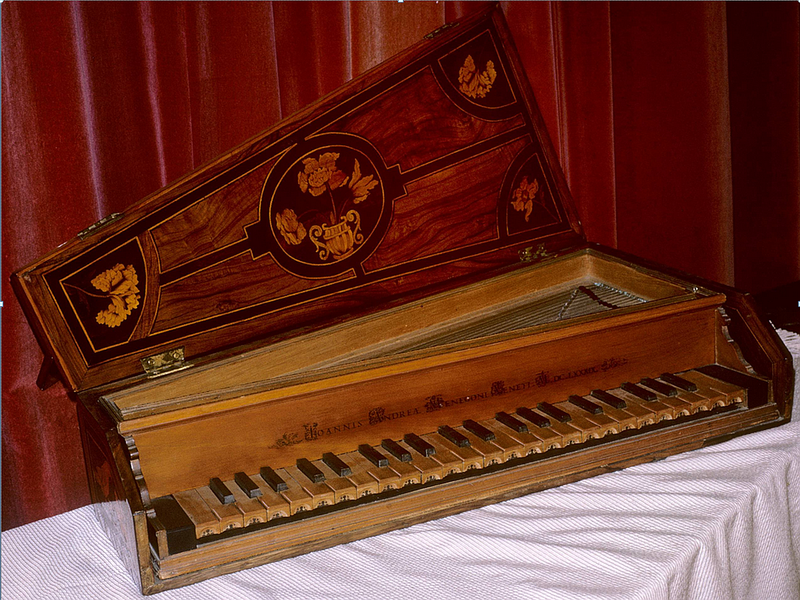 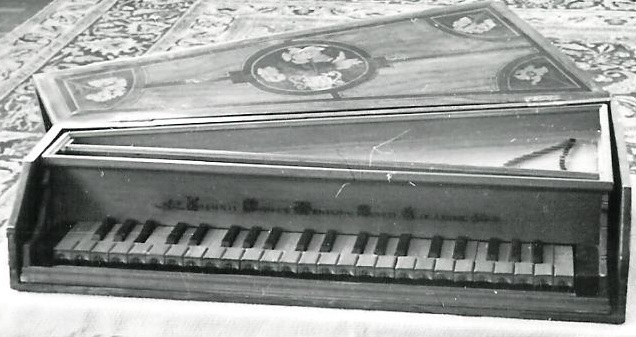 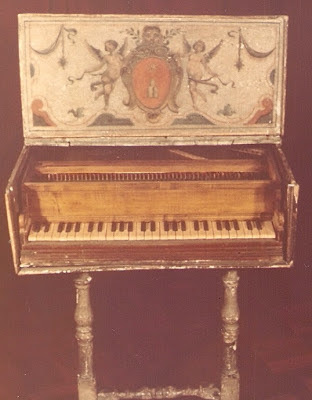 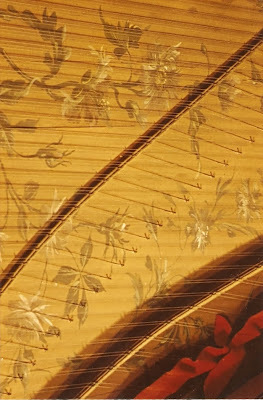 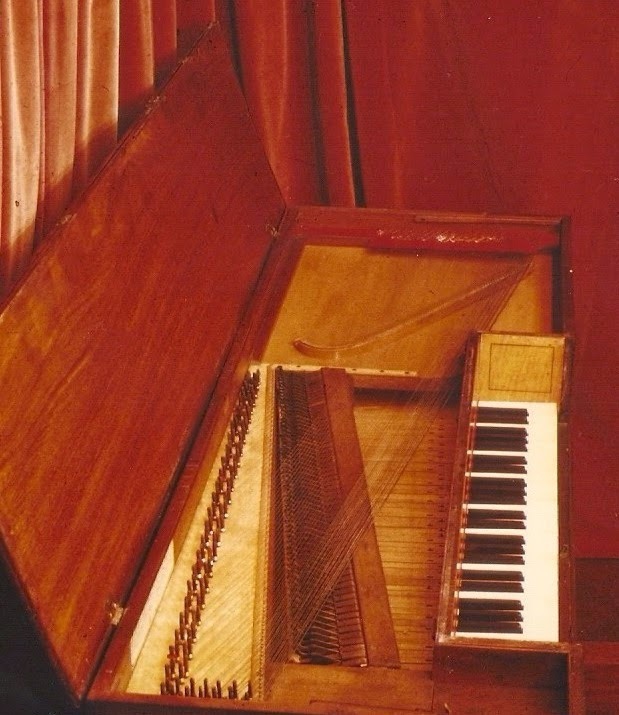 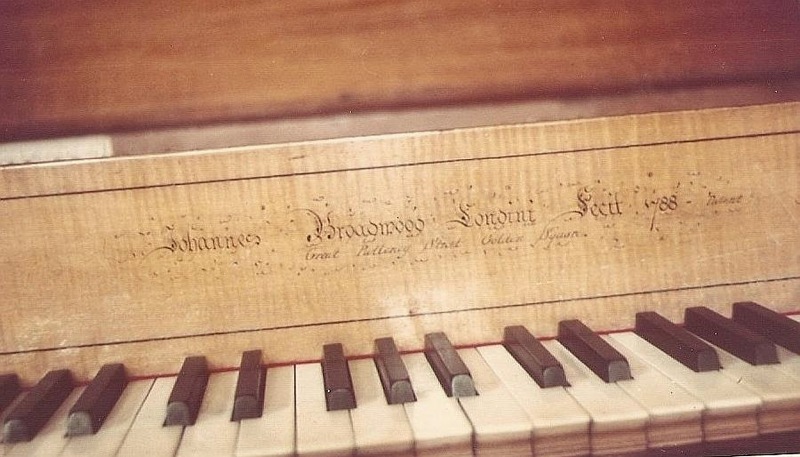 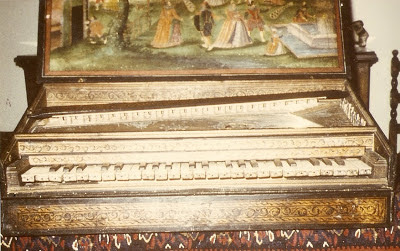 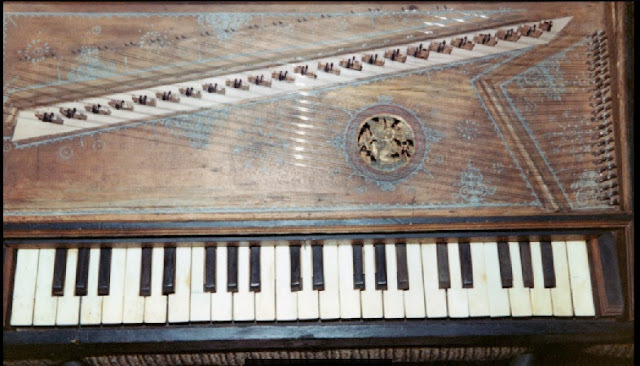 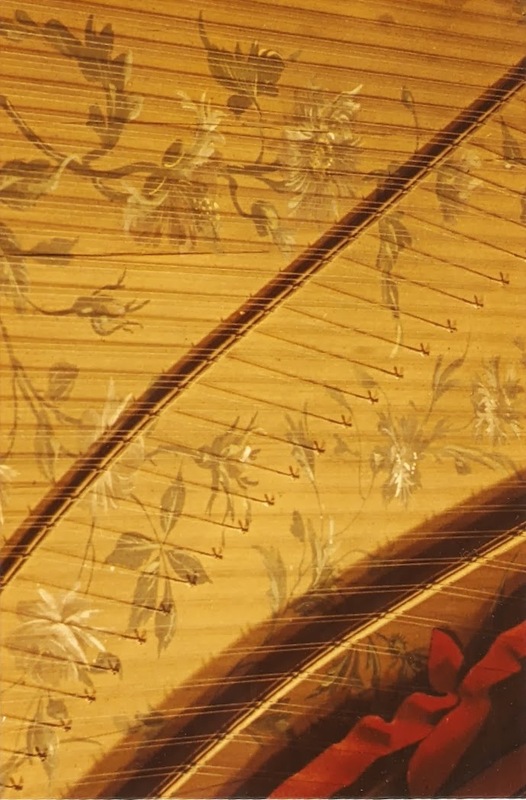 Hammerklavier or fortepiano of the late 18th century (1780?) 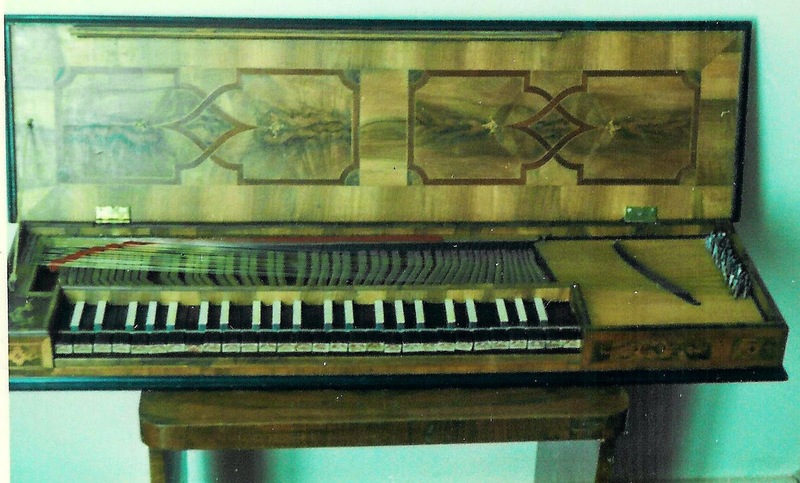 made by Georg Winckler of Switzerland. Case: Nussbaum, 5 octaves (F-f3) Er besitzt zwei Kniehebel, einen für Forte und einen für Piano. 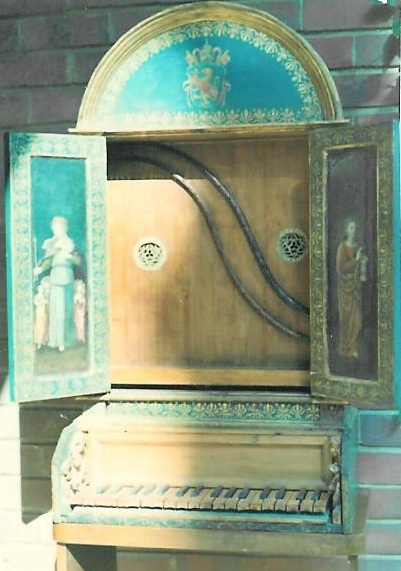 Die Mechanik ist eine Wiener Mechanik mit Kastendämpfung. 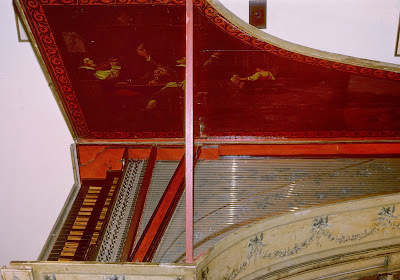 Auf einer gestochenen Vignette auf dem Resonanzboden das Signum: Georg Winckler, Lauten- und Instrumentenmacher München, von Neupert in Nürnberg gekauft. 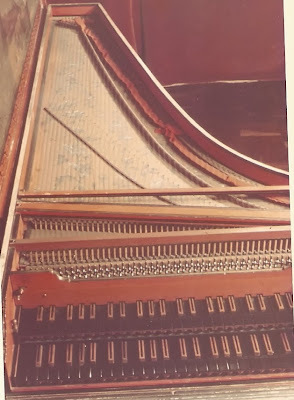 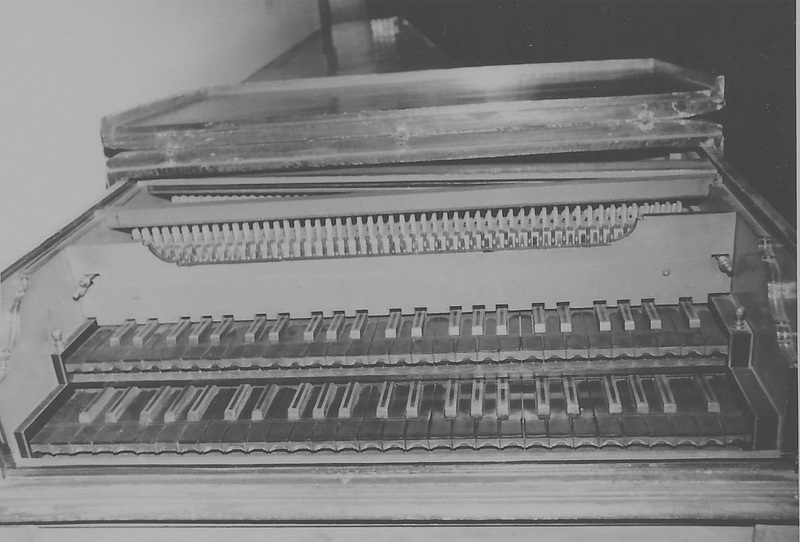 A true piano, the action being of hammers on strings, with the two damper pedals worked by the knee. 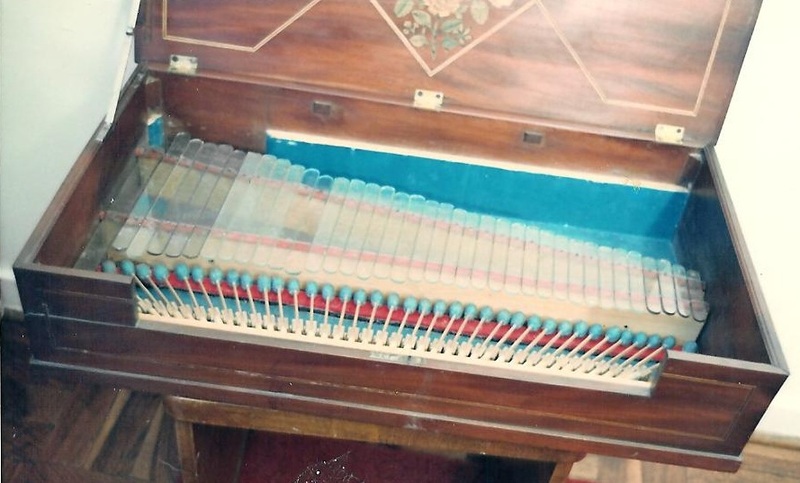 An important addition for performing the many library scores. 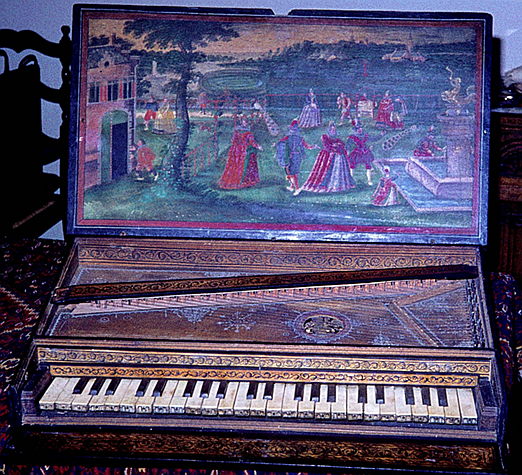 Often utilized together with visiting musicians. 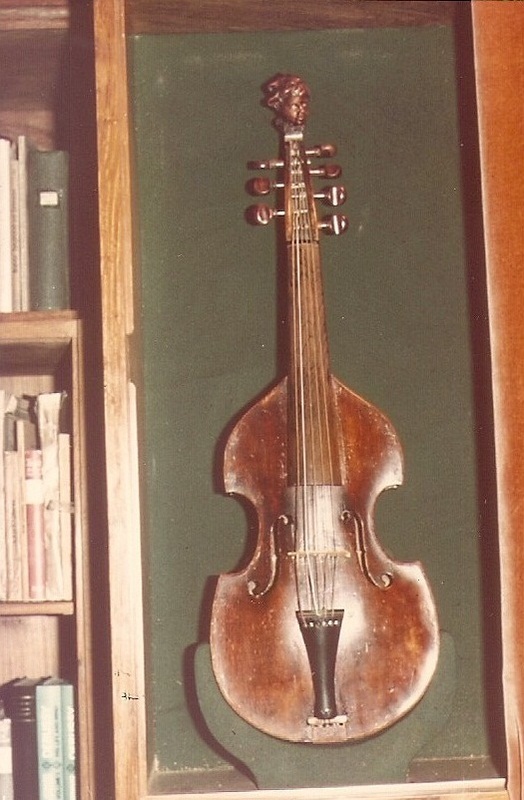 The 7 stringed Viola, received from the Gaspar Cassado Collection (Noted Spanish Cellist) who obtained it from the Comte de Briqueville collection that was dispersed in the 1930s. 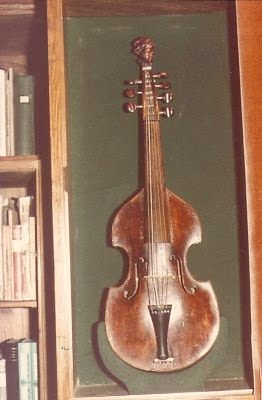 Made in 1679 by Italian violin maker Ruggieri Del Pere. 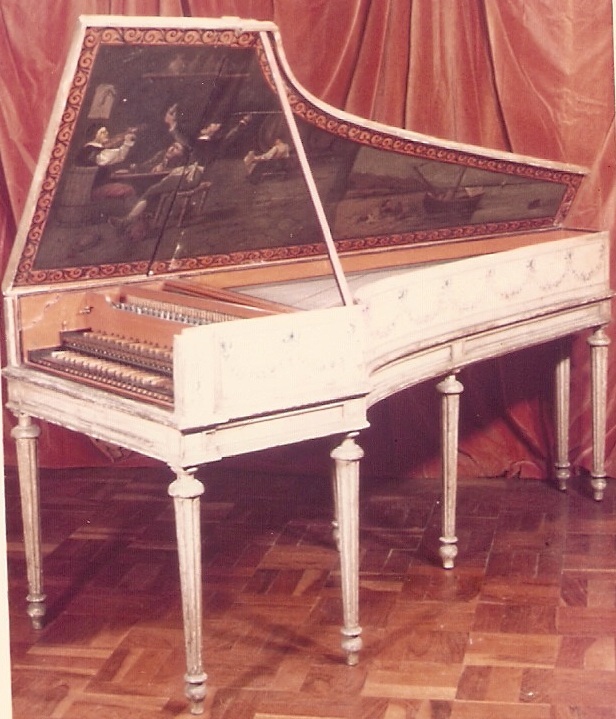 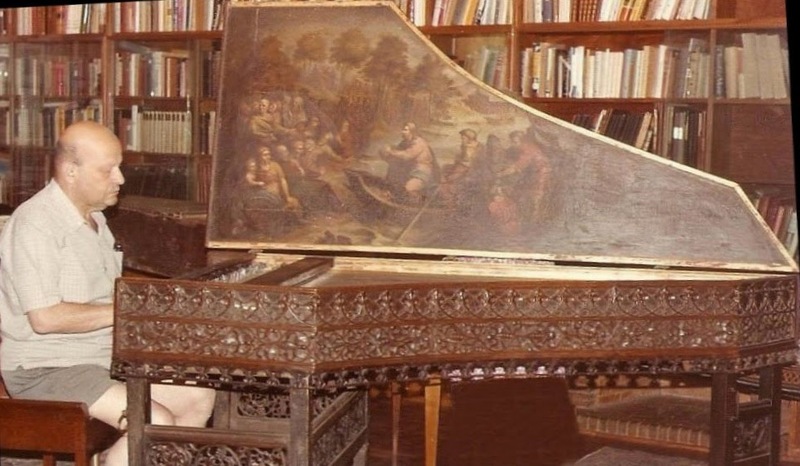 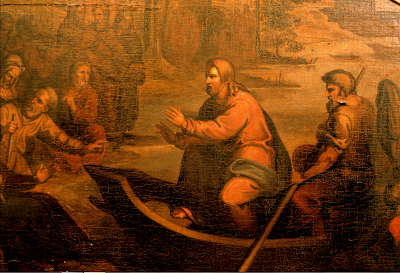 Alessandro Bertolotti was a Venetian harpsichord maker, active in 1580's. 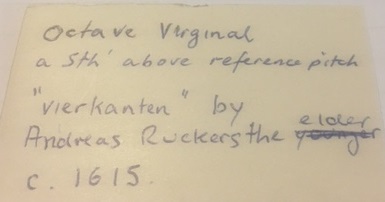 In this case the attribution is not apparent, yet vouched for by the donor. 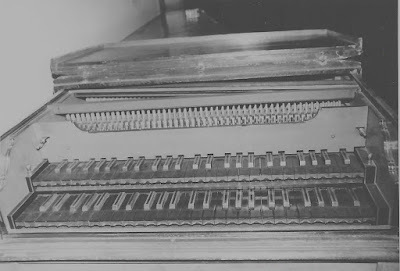 With trestles. 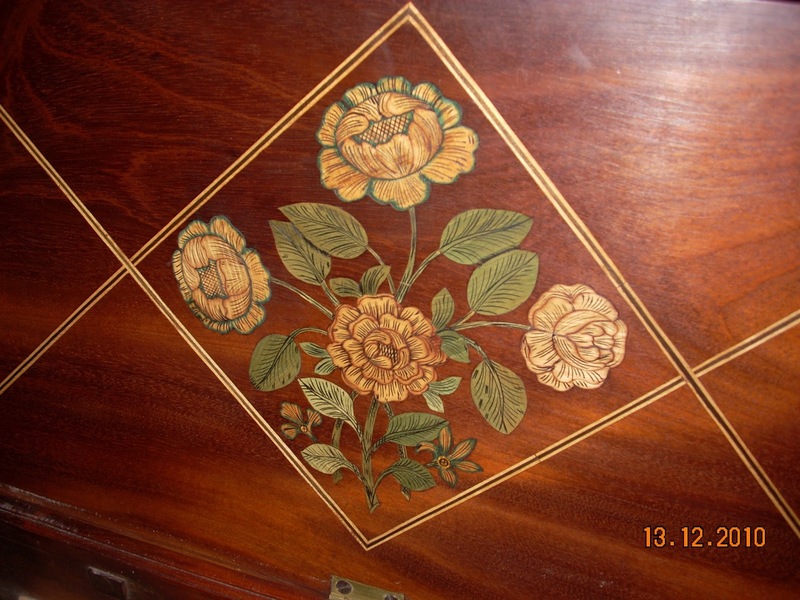 The painted casing is antique, the soundboard and rose also. 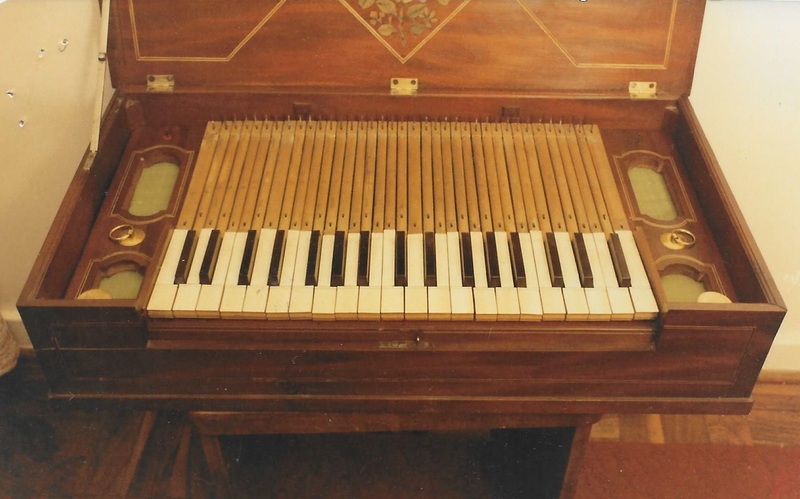 The four octave and four-note keyboard is completely renovated or altogether new. Purchased in 1969. 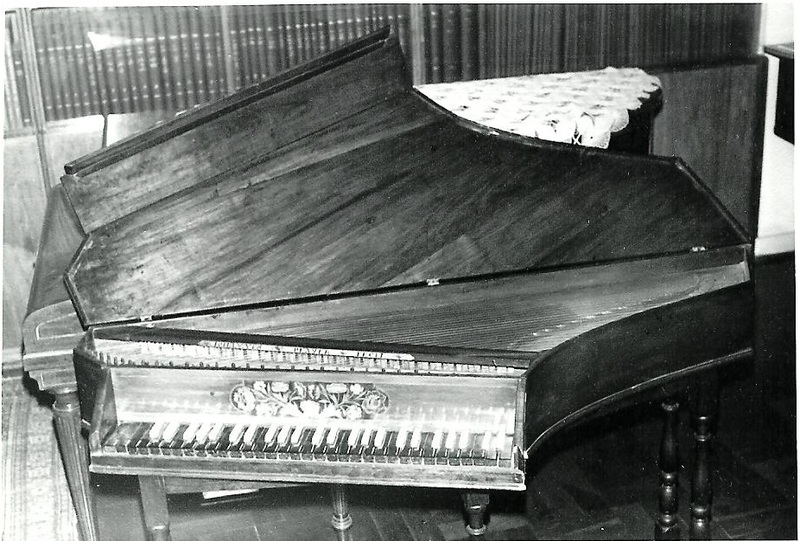 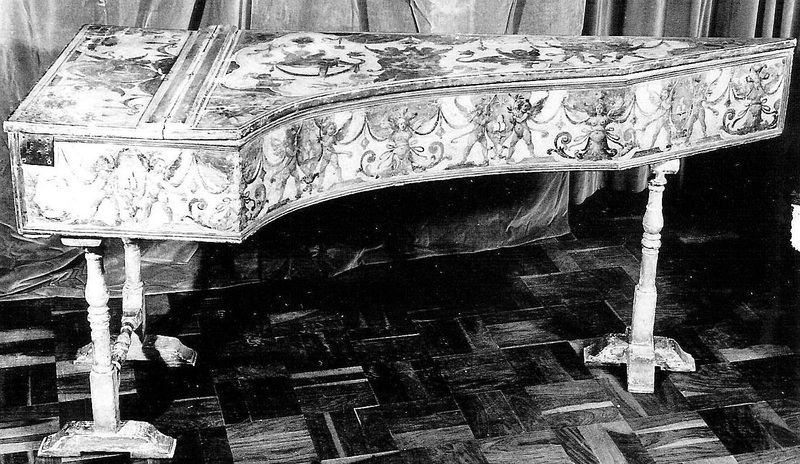 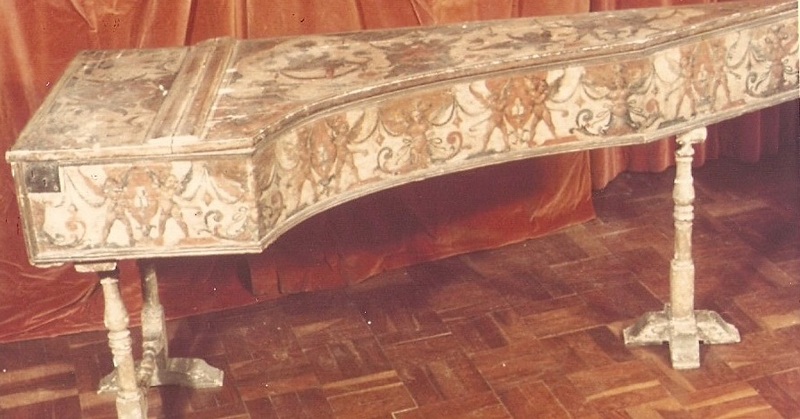 From the estate of cellist Gaspar Cassado, and dating from 1725, this rudimentary pianoforte bears no identification mark othe than what might be interpreted as a date 1732 inked in on the soundboard. 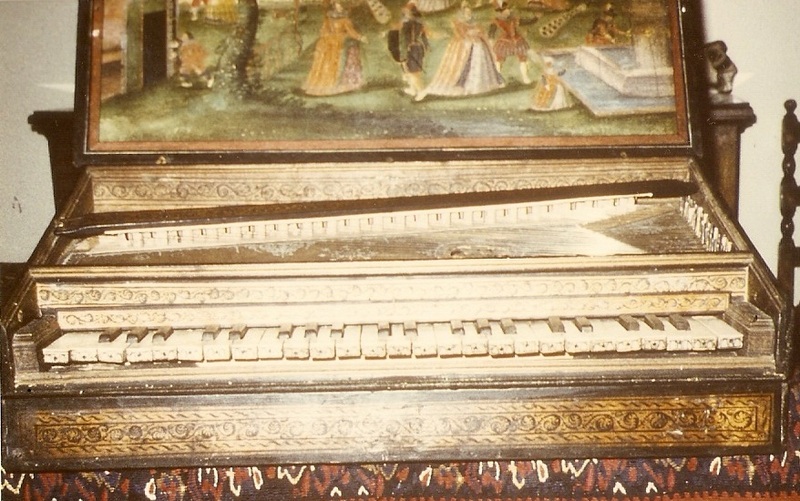 Range 4 octaves and one note. Purchased in 1969. 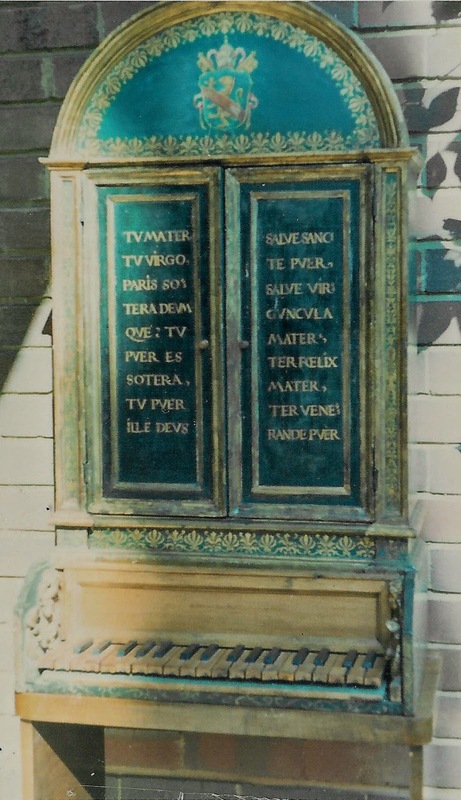 From Naples, reconditioned in England and the date of which he gives as 1730. Bought from Sotheby's, 1966. Repaired by Hermann Gertz, who worked in Johannesburg for some years.